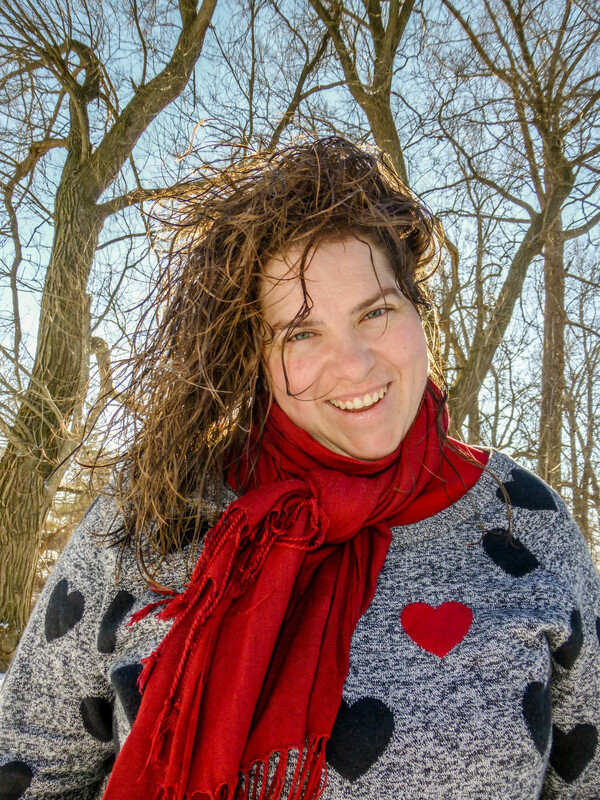 After my last post about cutting my hair I was excited about my plan of spending time with family on the beach at my Gramma’s Cottage. 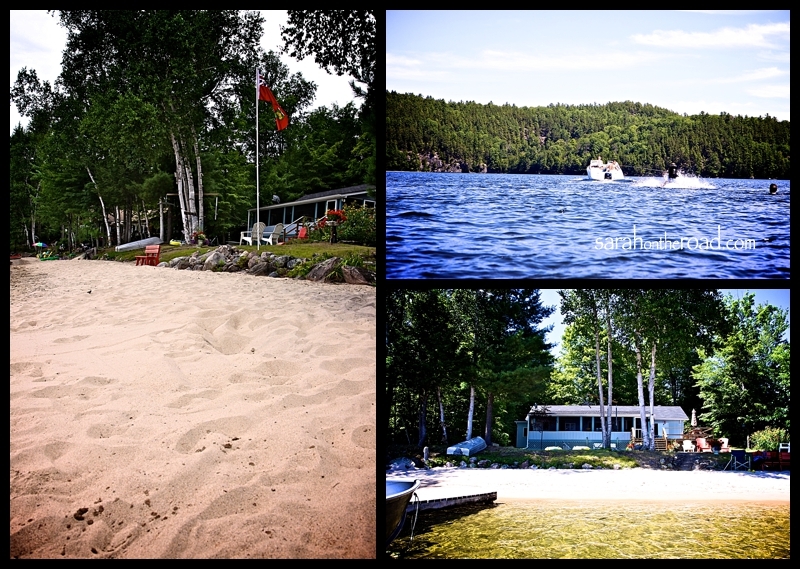 To put it simply it’s my home-away-from-home… a place that refreshes me and makes me who I am. It reminds me that I’m connected to a larger family who I love dearly and they love me. 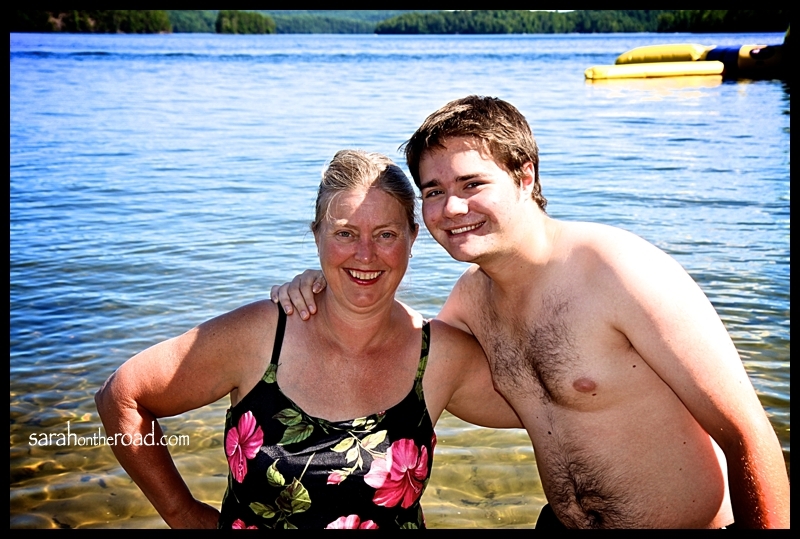 My mum and I headed up to the lake…on the last Saturday in July to head for a swim. One of my mum’s first cousins was teaching his son how to water ski. That brought back many memories of me probably close to the same age doing the same from this beach…except it was my Great Aunt Marg and her son Hugh that taught me in their orange boat. 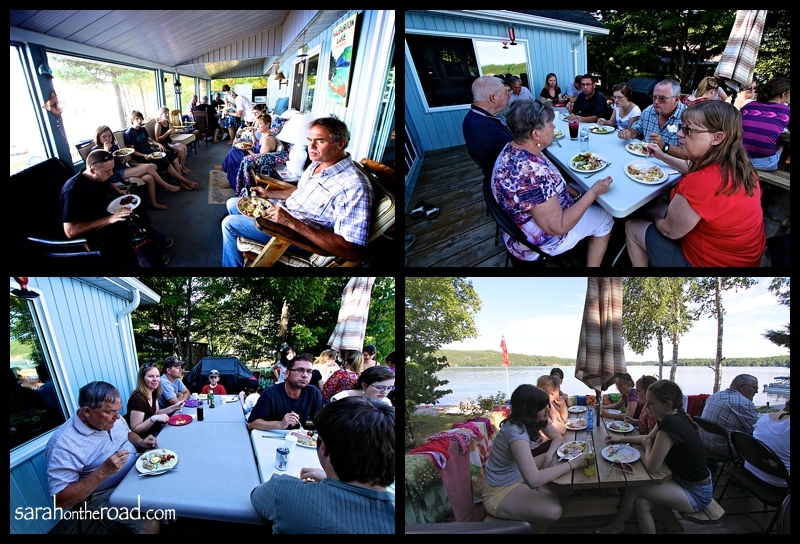 The last Sunday of July every year my Gramma’s family gathers at the cottage. It’s a reunion that has happened for years…there’s a book that you get to sign your ‘attendance’ my gramma is the keeper of the book. The book has my signature from my early printing days… Its a tradition that has been carried over from generation to generation…I hope one that will continue forever! 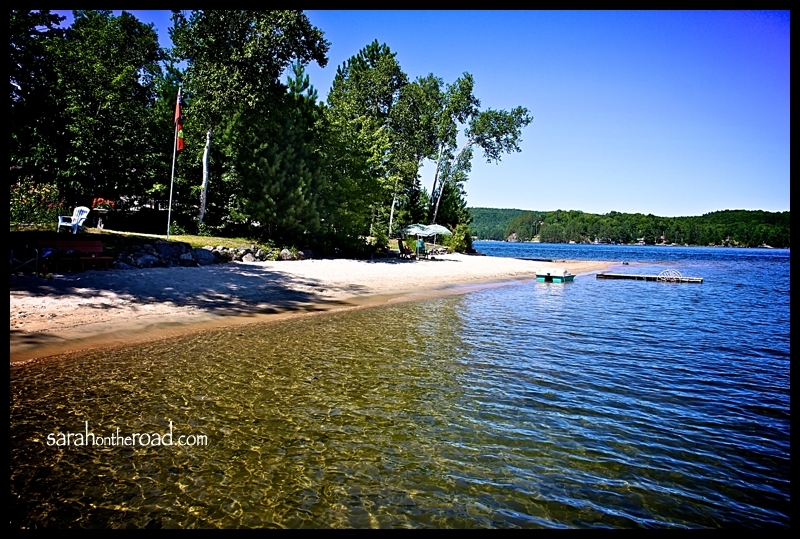 It was a perfect day with the sun shining… of course we started off with a swim or chatting on the beach! 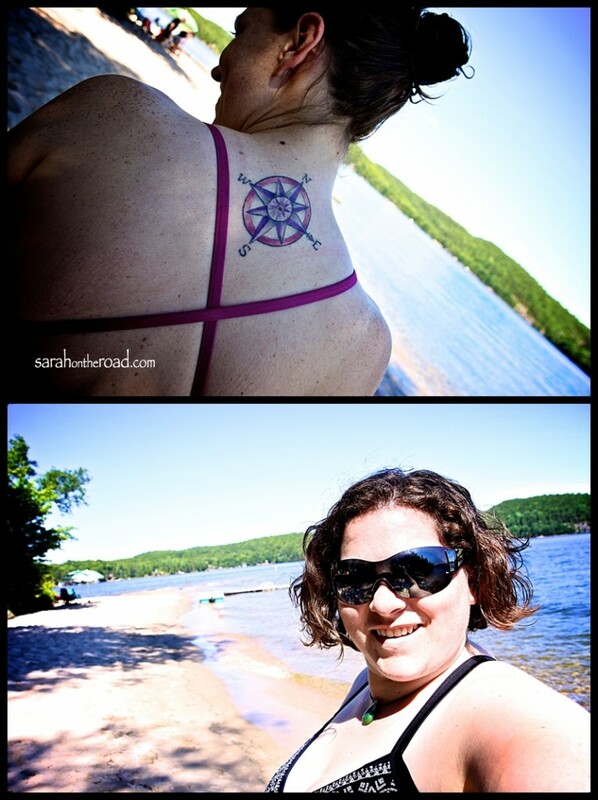 I might just have a bit of tattoo envy… I love my cousin’s tatt, and the special meaning behind it! I so need to get my ink. 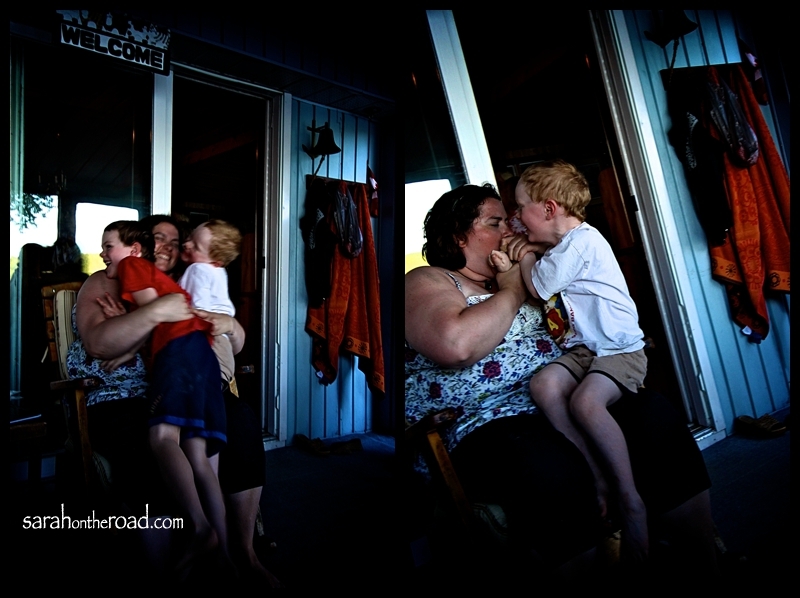 It was neat to see my nephews playing on the beach… the next generation building sandcastles and playing in the sand. I couldn’t believe how much they have grown since Christmas. To think that they will both be in school this September! One of the best things about the reunion is the spread of amazing food that magically appears on my gramma’s table. After filling your plate it was all about finding a spot to sit and let the eating begin! There were so many amazing desserts…. 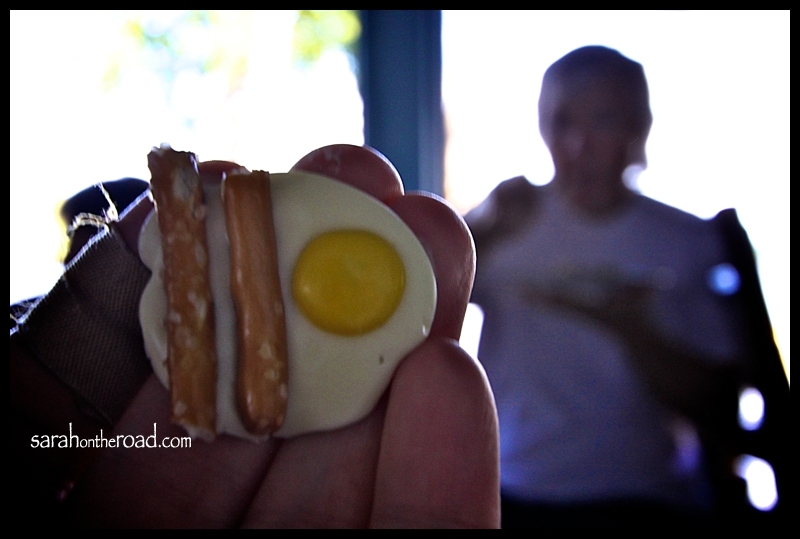 my cousin made these ‘eggs and bacon’ chocolates…she makes them for her bed and breakfast. They were SO YUMMY!!! After dinner there was more visiting until it was time to head home! It was a perfect day. 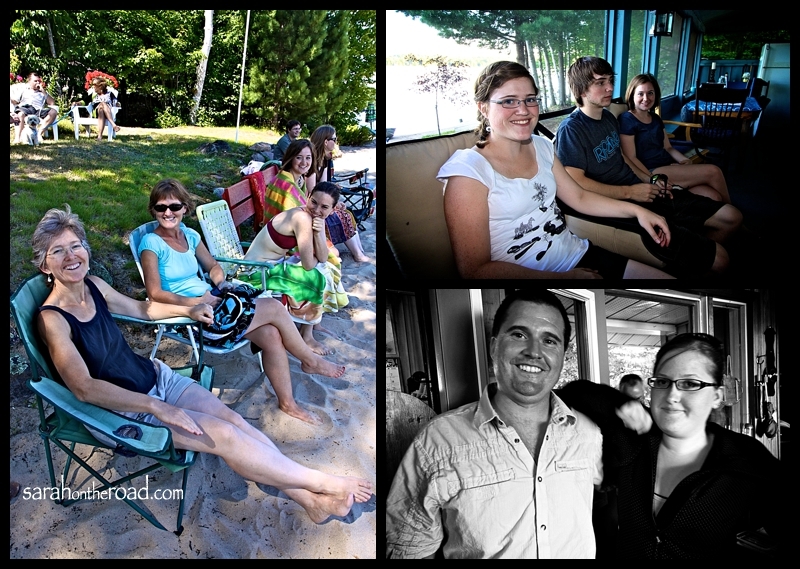 So many great conversations…my holiday was going to plan relaxing time with family at the cottage. Then on Monday morning I was reminded that plans are great, but sometimes they just don’t happen. And in those moments, when you see your perfect ‘plan’ unravelling in front of your eyes…you have to grab on and go with it… no use fighting it! My mum finally got a place to live in the same city she works. 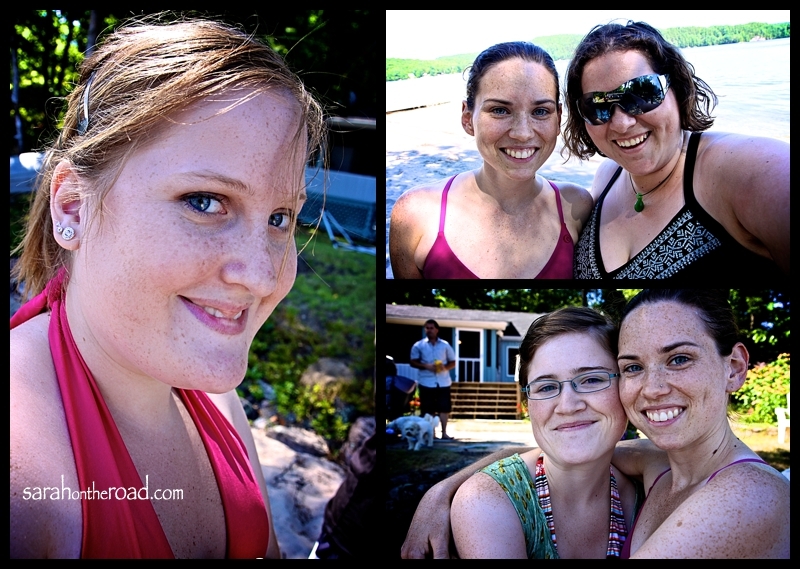 For the last 2 years she’s been boarding with family friends…Monday to Thursday.. and then weekending it in Haliburton. It has been a good situation for my mum, but lately she’s wanted to be more settled in the city she works. So on Monday she confirmed she got the place, Wednesday we drove to Lindsay to pick up keys and Friday the movers came! 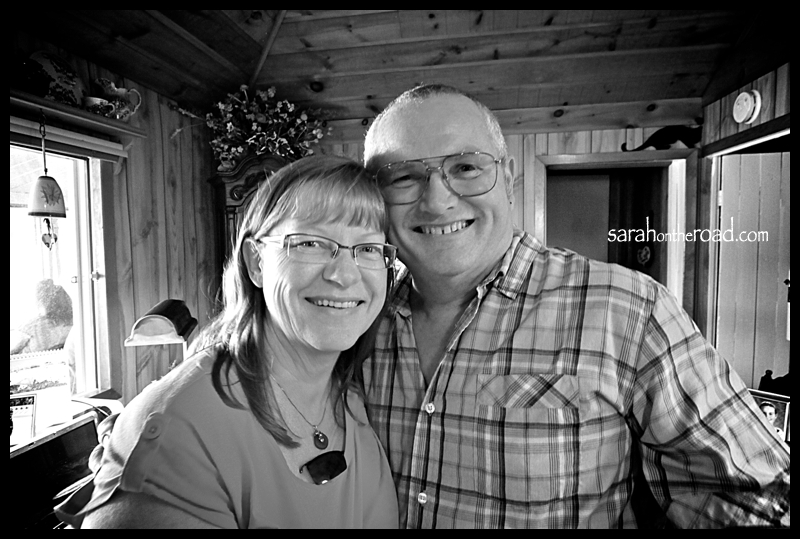 This was amazing news for my mum… but just meant that the last 8 days of my vacation wasn’t able to go as planned….it involved: boxes, packing, cleaning, unpacking, trips to the dump, trips to the give-a-away store…a bunch of work. But all in all I was thankful I was with my mum to help her out- I would have felt horrible if I was up north and not able to help her out. That’s what family does…when you need help, it is offered no questions asked! I recognize that not everyone can be so free with their time to help out on such short notice. But that’s ok because I know that these people do other things to help out my mum at different times of the year when they are available! It all works out in the end. I was just thankful that I was on holidays and had free days in order to help out my mum. We got all the packing done with a little help from my aunt and my mum’s cousin. They showed up at the right time to help pack up the kitchen, just when I thought we wouldn’t get it all done… then it was done by Thursday Evening. And on Friday morning the truck arrived. 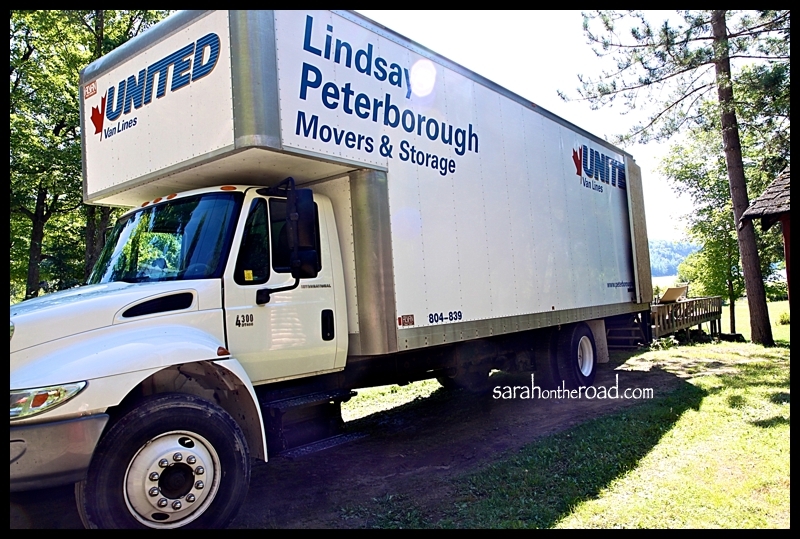 We used Lindsay-Peterborough Movers & Storage… they are such a professional amazing company. If you are moving in this area, I recommend using this company. I’ve used a few different companies during my moves in the past 3 years, and they were the best! The driver and two young guys (Brock and Nic) came to help take my mum’s stuff from Haliburton to Lindsay. (I feel bad but forgot the driver’s name!) 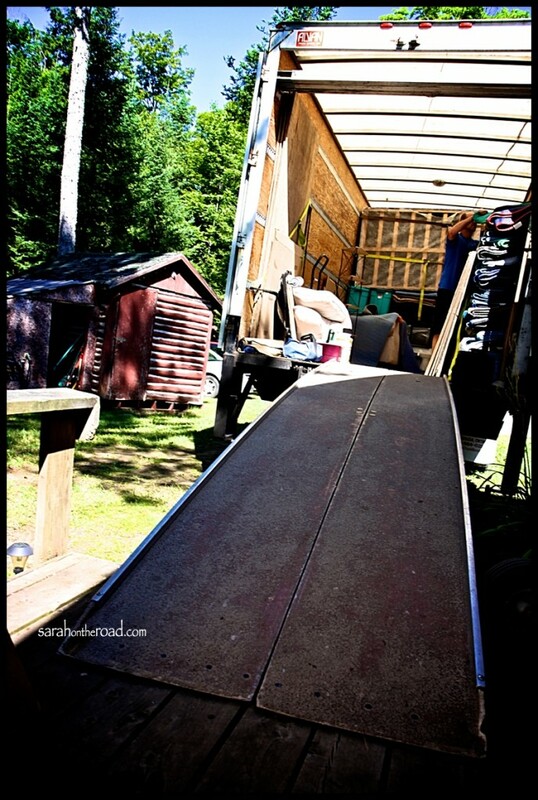 This team worked so well… and made the move go so smoothly. Their chatter and jokes made the time fly by, thank you! Here’s the truck all packed and ready to head to Lindsay. The rest of Friday and Saturday was spent cleaning and unpacking my mum. 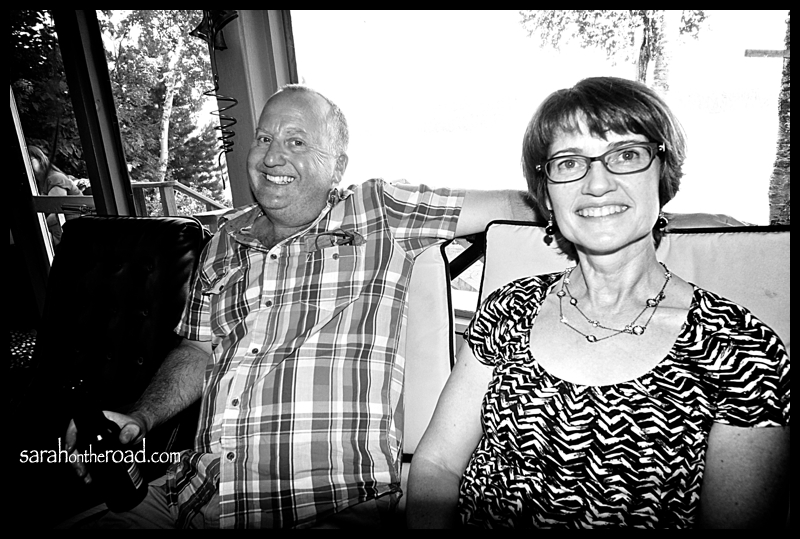 My little Bro and sis-in-law were able to come help… which was great! 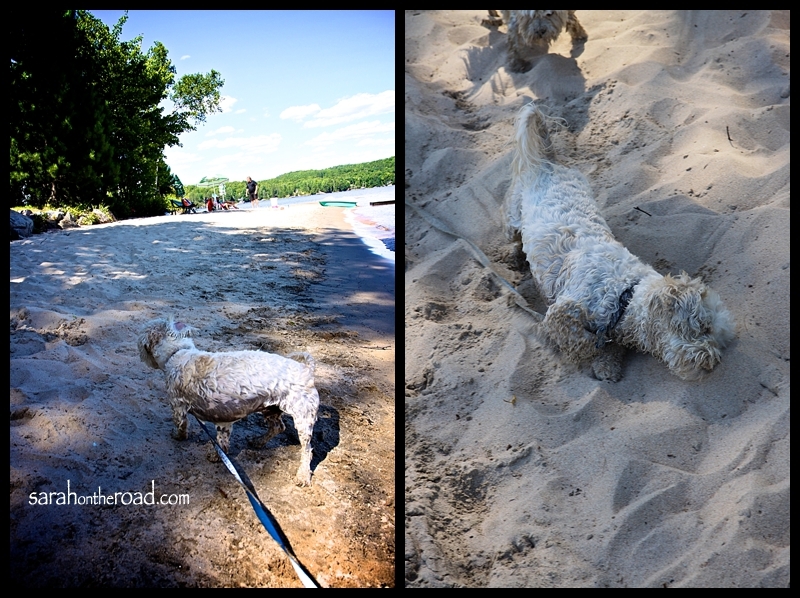 It was nice to spend a bit more time with them… even though were in a stifling hot apartment, unpacking and cleaning…rather than sitting on the beach at the cottage! 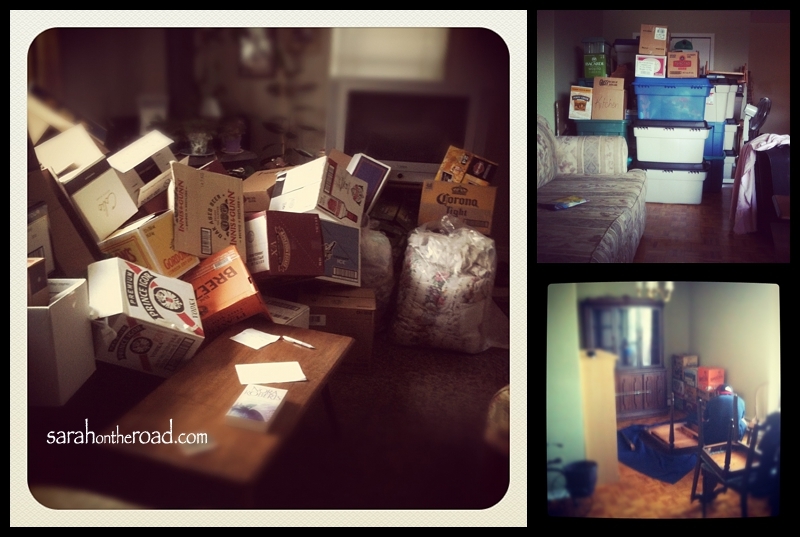 By the end of Saturday we had made my mum’s apartment into a HOME! 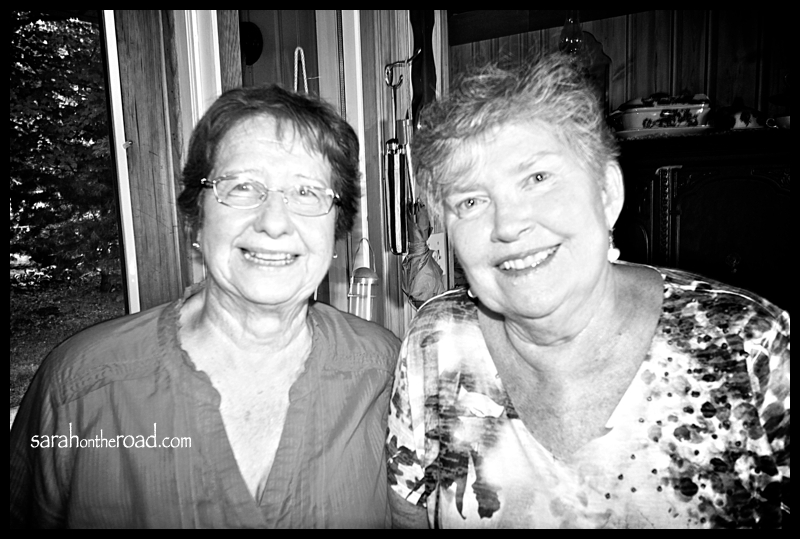 Then my vacation plans got back onto track… my mum were able to spend Sunday night, Monday and Tuesday together in Ottawa. Yes, there was some shopping… but there was also good food, and relaxing too!!! The best part was time just with my mum…I hope you enjoy your new home!! 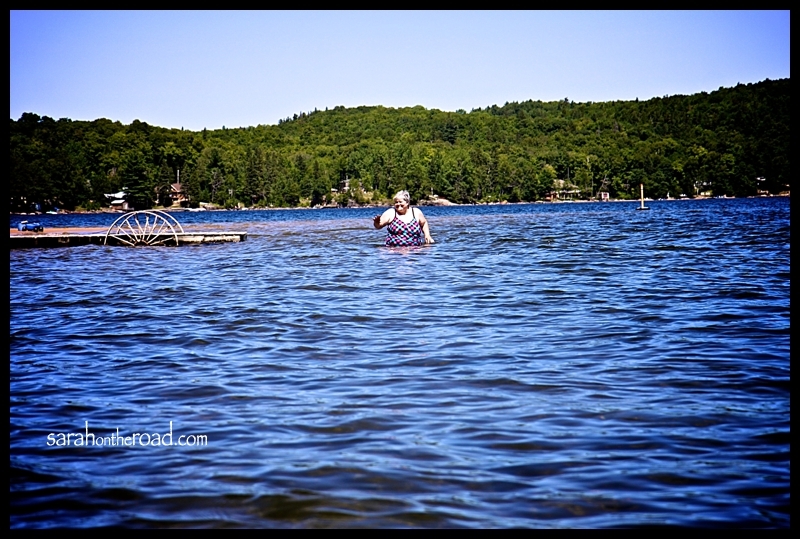 This entry was posted in Family, Haliburton Highlands on August 12, 2012 by Sarah on the Road. How awesome to have such a regular place for meeting family! …my great-grandpa sure did plan for an amazing family gathering spot! With lots/cottages in a row for all his kids… some aren’t still in the family, but there still are some! The chess game was cute too. Some serious players! Very nice Sarah. 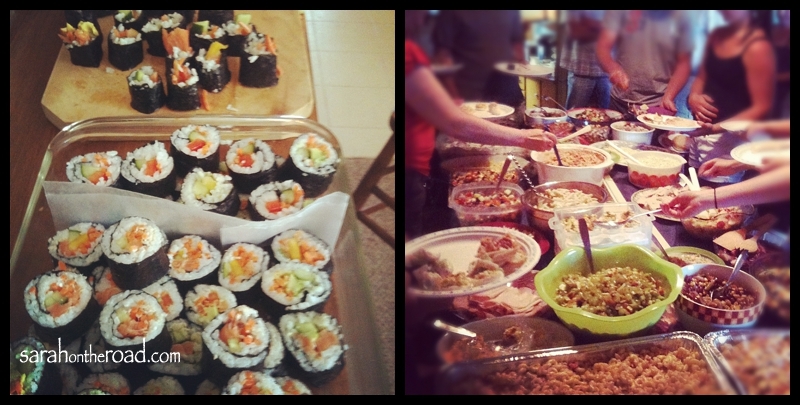 Aside from your great family — the food spread rocked. Nice post. 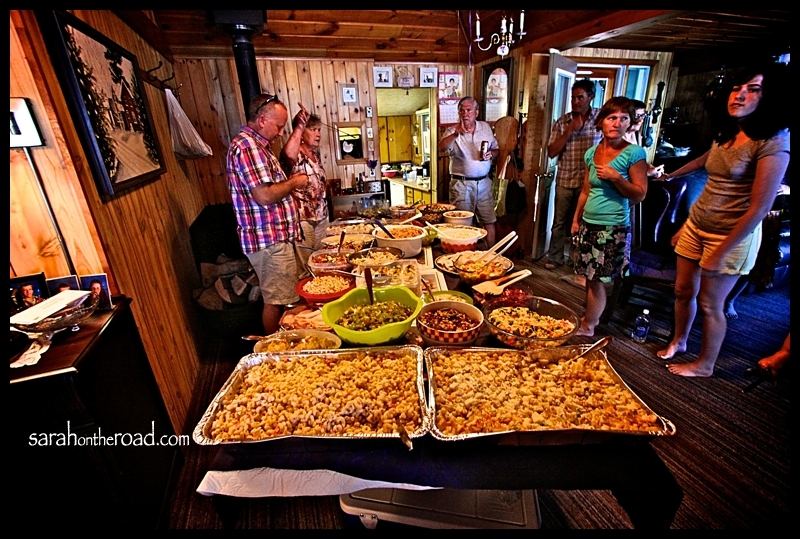 …yup, my family knows how to put on a good spread! Wow, that’s some spread of food! …I know eh? it’s such a FEAST!!! I can’t remember the final count from the day..